Congratulations to NDA Robotics for advancing to the semifinals at the 2017 Viewpoint competition. 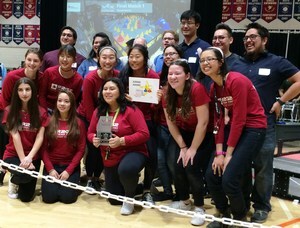 NDA Robotics also came home with the Judges' Award for their ability to clearly and passionately describe their engineering design. Go R2G2!